in two weeks i will step far outside of my comfort zone and find myself in the high desert of california under a bolder, working my way to the top of said bolder. i've been persuaded to tag along with david on one of his climbing road trips. this adventure involves a full day of driving from seattle to bishop california, two weeks of camping without showers and as many days of climbing as our fingers/skin/muscles can manage. i'm skeptical about many aspects of this trip, but what doesn't kill me (or injure me) will only make me stronger.... right? i'm excited to get outdoors, make some gourmet camp stove meals and snap lots of photos and videos of my monkey man and maybe clamber up a few boulders myself. i'm trying to psych myself up for this trip, train harder at the indoor climbing gyms, and hopefully gain a little more confidence to pull onto some "high ball" boulder problems. this song by the dodos has become my motivational mantra. excuse me if i bust out into song while climbing up something intimidating. we sat down yesterday to write out a long list of everything we need to pack into the car. david expertly crafted a detailed list of gear and supplies. i started brainstorming practical (and probably impractical) meals we could make on his two-burner camp stove. if i left this task to david, we would eat bacon and eggs for three meals a day. that's all fine and dandy for him, but i wither away without vegetables. i'm excited to take on this culinary challenge! and i'll be sure to blog some of the more successful camp meals. i have a feeling there will be many nights of rice and beans or lentils. although, it will be a challenge to make something as delicious as these chimichurri black beans. i think this recipe epitomizes my comfort zone. but as they say, the true magic always happens outside of your comfort zone. so bring it on california! bring me some camp-stove-culinary-magic! soak dried beans overnight in a bowl, completely submerged under several inches of water. in the morning, drain the beans from soaking water. add soaked beans into a crock pot (or large soup pot) with 4 cups of broth or water. add cumin, oregano, salt, chili and bay leaf. cover and cook on low heat until beans are soft and start to gently fall apart (all day in a crock pot, or several hours on the stove). if serving with rice, begin cooking rice 45 minutes before serving soup. during this time, saute diced onion in one tablespoon of olive oil over medium-low heat until caramelized. 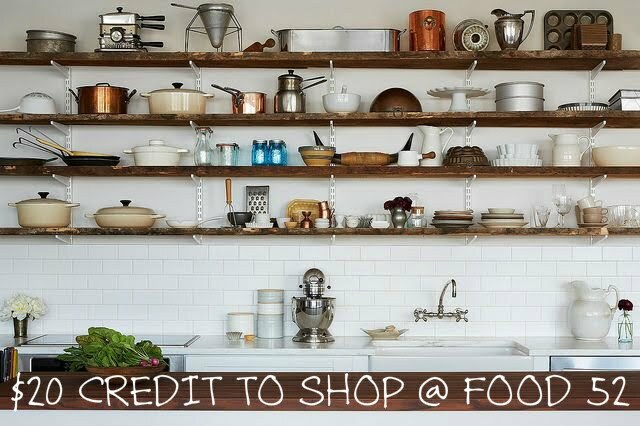 add to soup pot. preheat the oven broiler for 5 minutes or so, while you dice your bell peppers into small cubes. 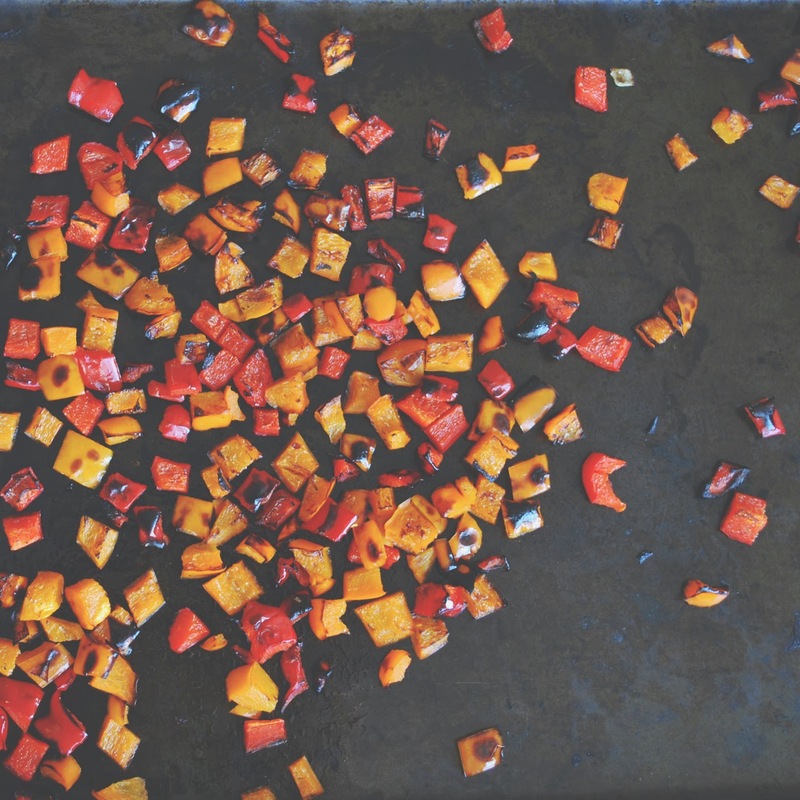 on a baking sheet, toss chopped bell peppers with a tablespoon of olive oil to coat. broil for several minutes, until lightly charred. set to the side. once black beans are fully cooked, remove bay leaf and pour 1/2 of the soup mixture into a blender. blend for just a minute, until smooth. add pureed beans back into the soup and finally add the charred bell peppers. adjust the consistency of the soup if needed - adding more broth or water to thin the soup. let simmer for a few additional minutes while preparing the chimichurri. 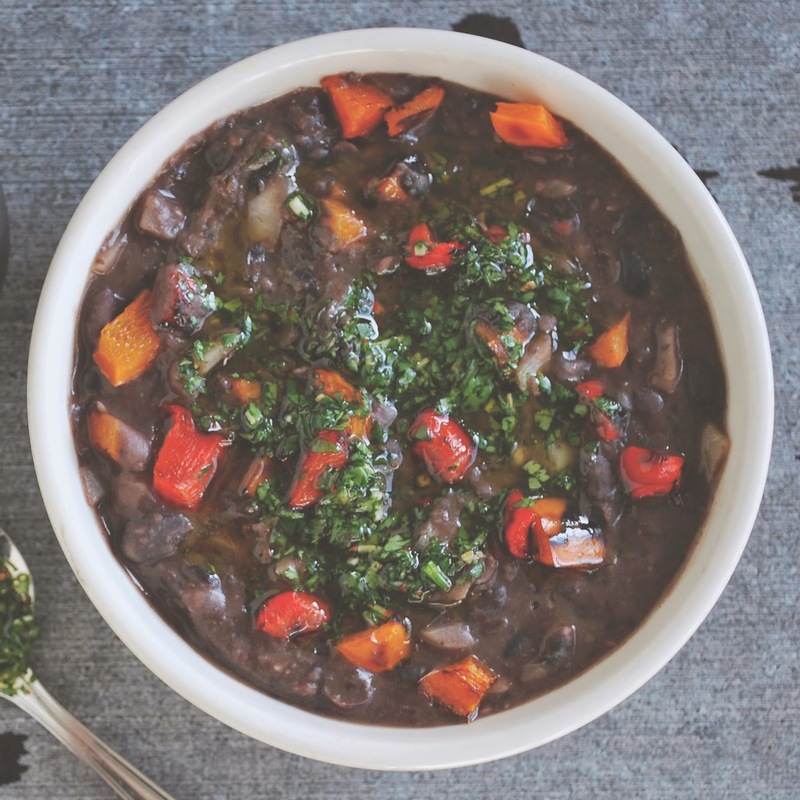 simply combine all ingredients for chimichurri in a small bowl. chimichurri should be more oily than pesto, salty and with a strong fresh garlic flavor. adjust seasoning to taste. 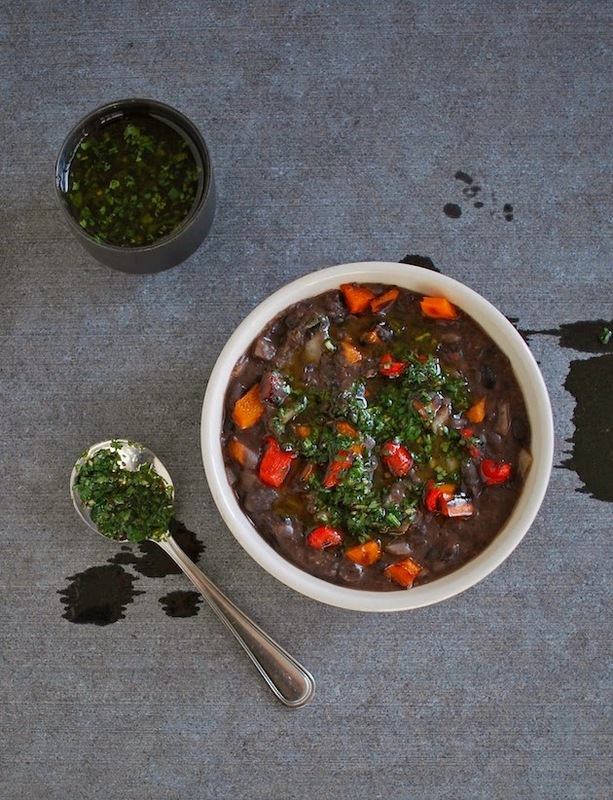 to serve, ladle black beans over cooked rice and add a tablespoon of chimichurri on top. garnish with sliced avocado, aleppo chili flakes, or a spoonful of sour cream.